No Setup Fees, No Hidden Fees, Modern Design, Mobile Responsive. We will provide your business with professional website that will enhance your web presence and generate more business. A well planned and professionally designed website will ensure that you are able to generate a specific response from your target market. This will increase the number of sales or sales leads that you receive from your website. Having a professional, responsive website is an essential sales and marketing tool for any business. Apart from designing your website, we are able to help further your brand strategy with services like SEO, online marketing, social media marketing, etc. IF YOU OWN A BUSINESS YOU NEED A WEBSITE! Your clients have access to Google on their phones 24/7. The Google search bar is installed as standard on the home screen of most phones these days. 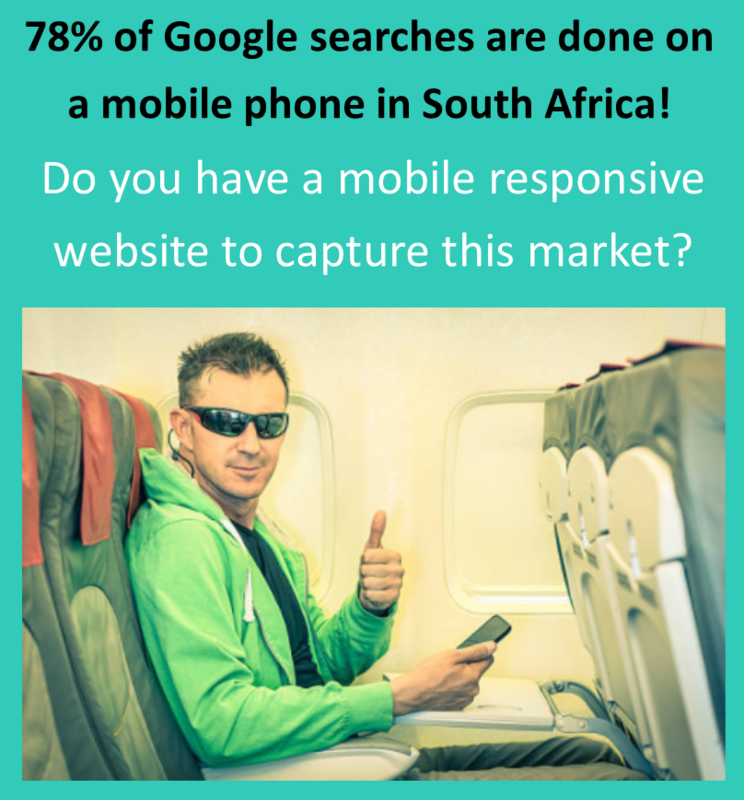 If you think you don’t need a mobile responsive, Google friendly website, Think again! Every day more people go online to search for products and services or to shop online. There are millions of Google searches done in South Africa each day! Around 90% of all searches for products and services are online searches. If your business is not online, you are missing out on a HUGE portion of the market. We are passionate about what we do, and are dedicated to remaining at the forefront of our industry. We love what we do, and we do it well! We partner with the best so we can give you the best!